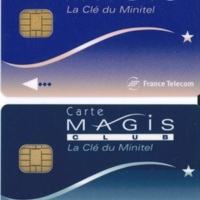 This smart card was preprogrammed for use with Magis Minitel terminals. The packaging promises to make Minitel even easier to use. This smart card is preprogrammed for use with an advanced Minitel terminal. It promises easy access to a variety of services. 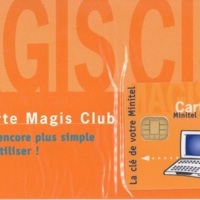 The back of the card invites users to update its features by connecting to 3623 MAGIS.